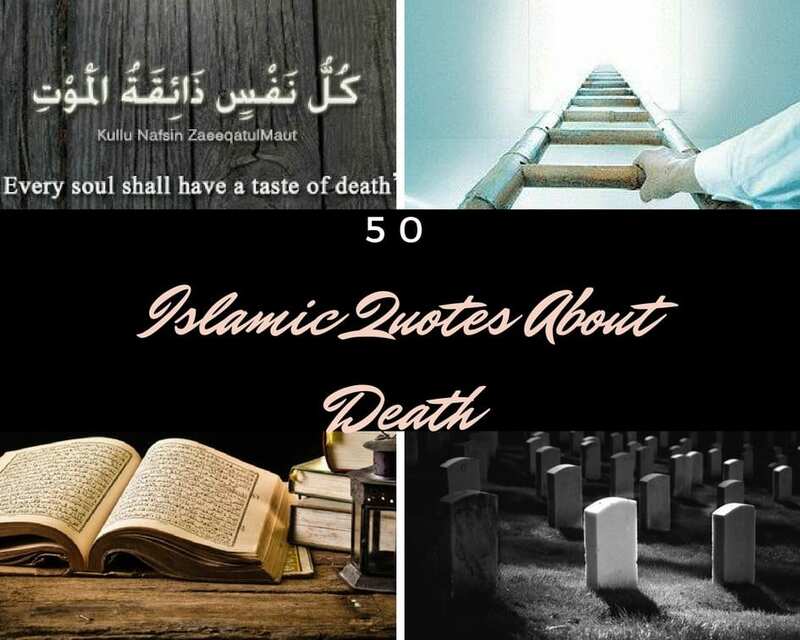 Islamic quotes about death. 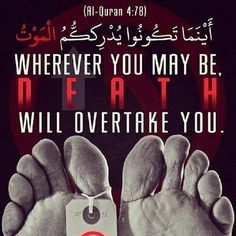 We all believe on death, we believe this world is for short time, we deem on life after death, but after all these considerations, still, we are involving ourselves in lavish, tempting world where all are temporary. 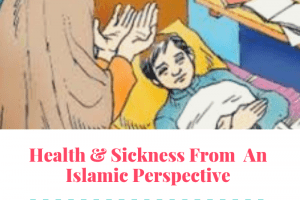 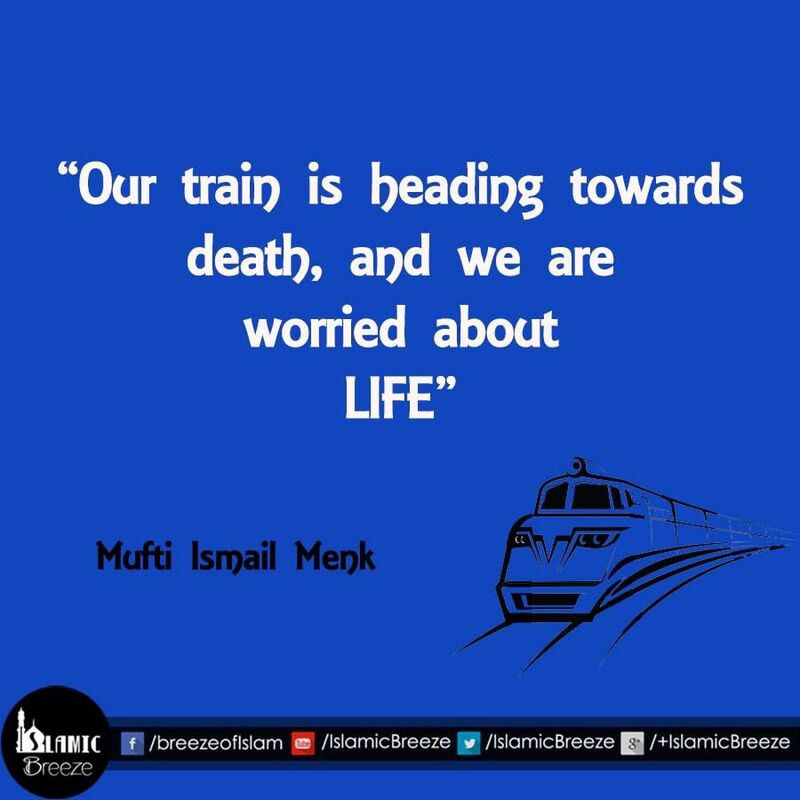 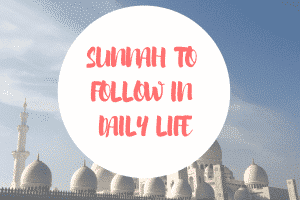 Today we’ll go through some of the best sayings and quotations regarding death in Islam. Everyone receives what he sends forward, either these are good deeds or bad. 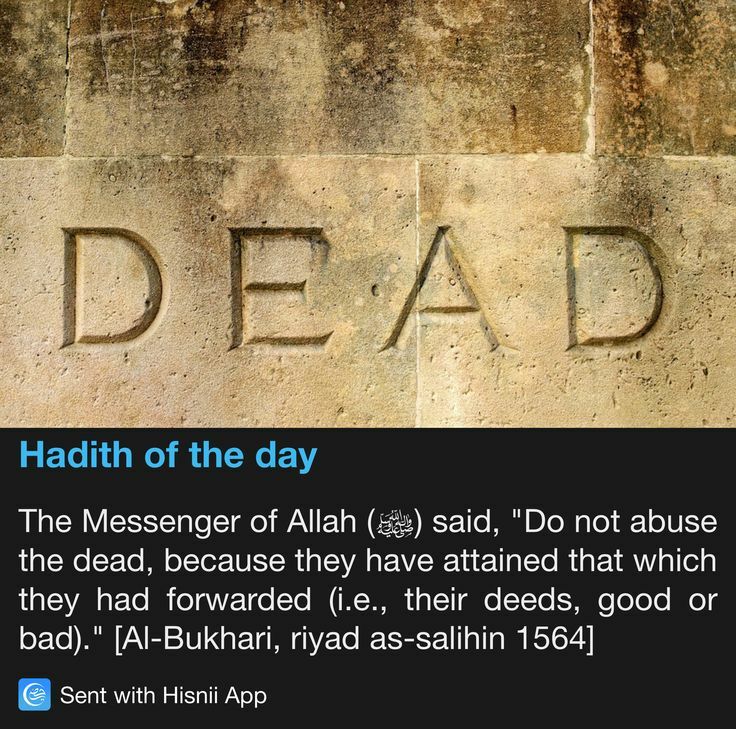 (HADITH). 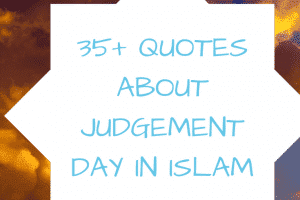 Have a look at these 40 Best Proud to be Muslim Quotes with Images. 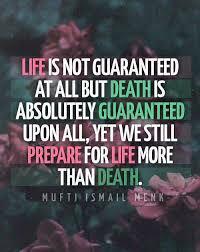 Death is a universal truth, no one can deny it. Whatever you can do, but you can’t defeat death. 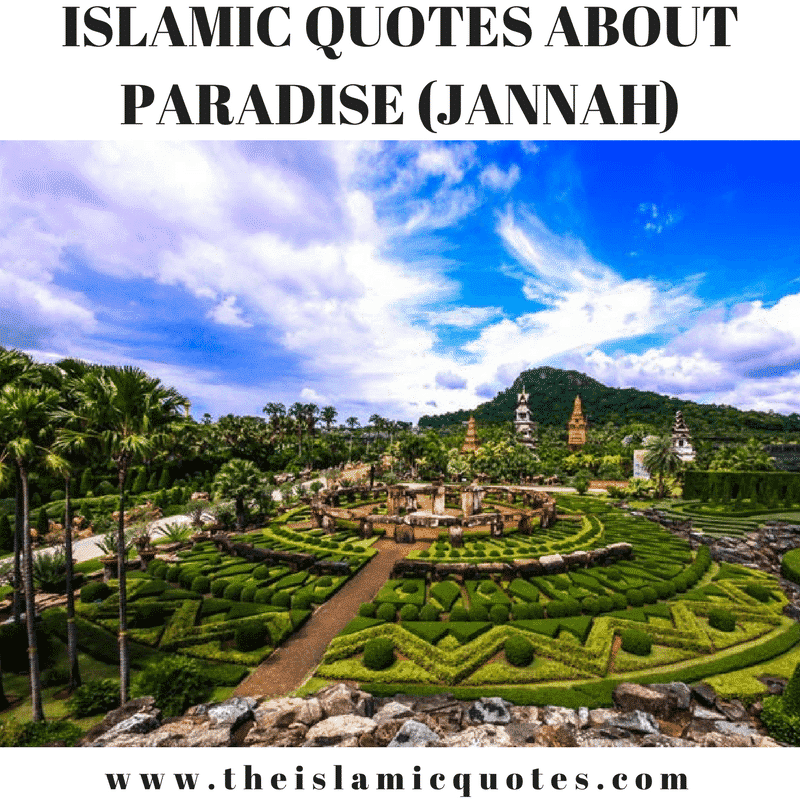 The call from Hazrat Izraiel is waiting, and it can come anywhere, anytime. 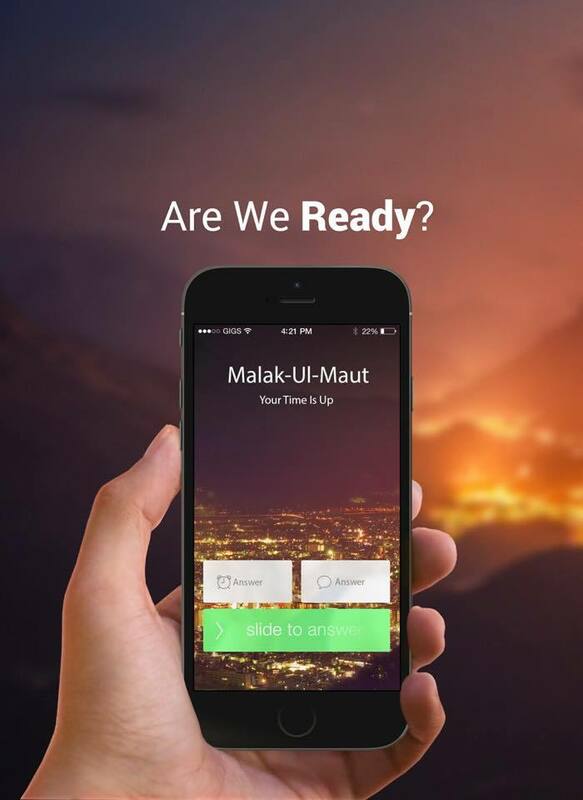 Are we ready for it? 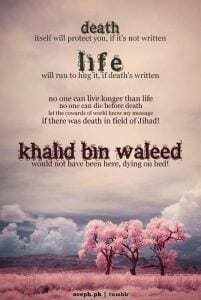 Life gives friends, death gives loneliness. 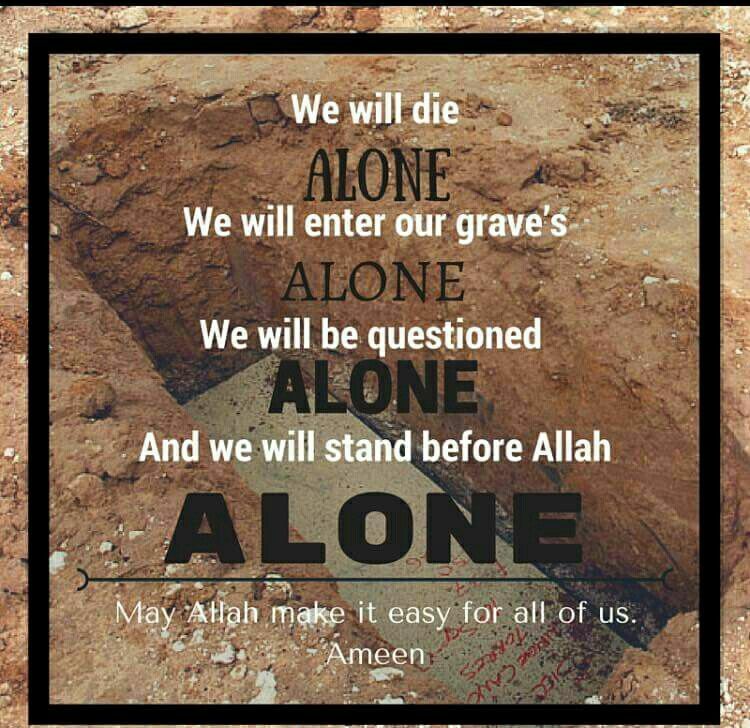 Soon after the demise, all have have to face alone; grave, question answer session, and the call in front of ALLAH. 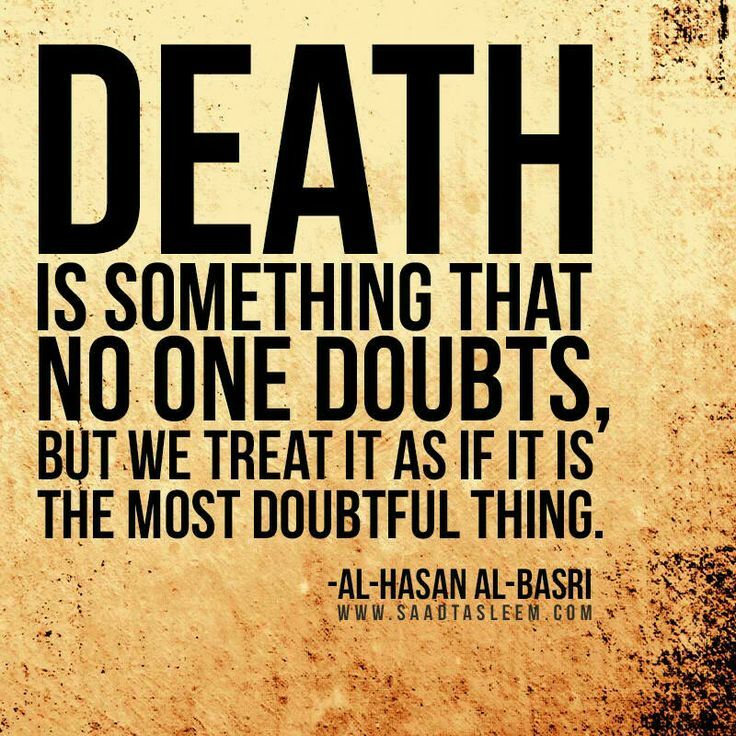 Death is true reality, nothing can stop it, though we ignore it. 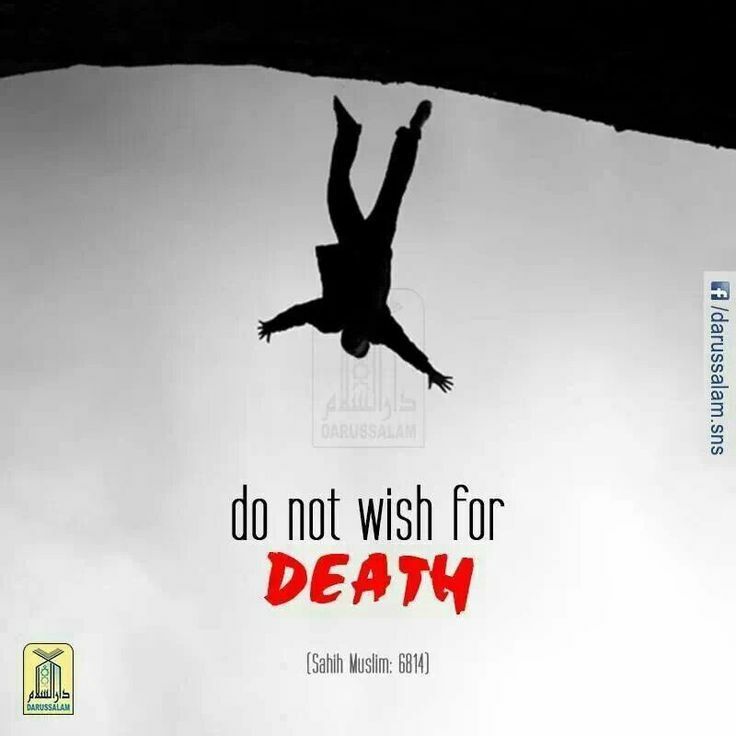 But still it will be happened. Everyone is running away from death, and running towards life, the world, towards the temporary object. 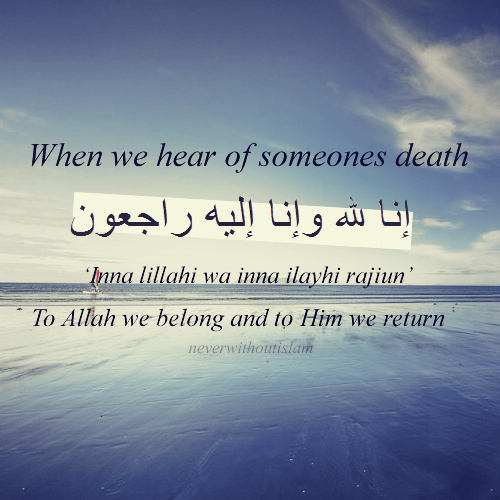 Whenever there is an announcement of anyone’s death, we stop ourselves for a minute, later on we assume it’s some other who is died. 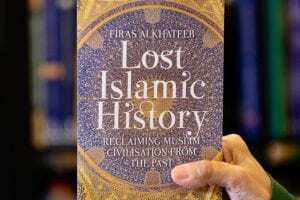 Our turn is too late. 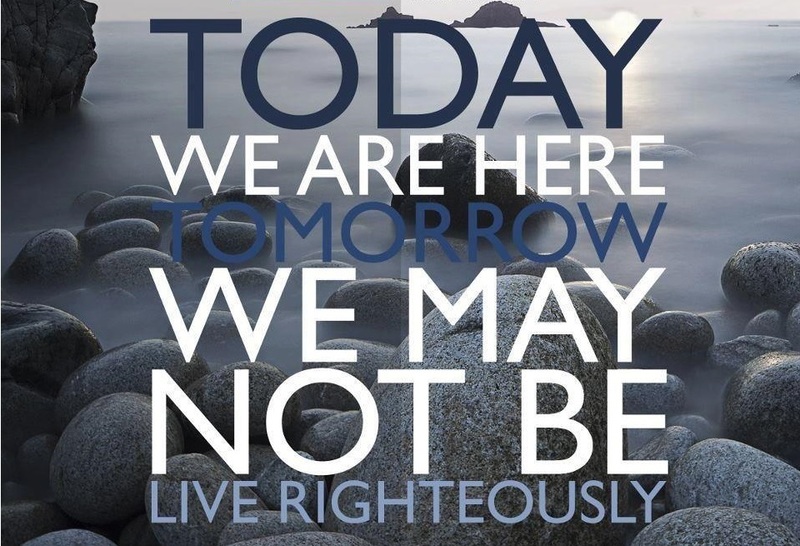 This is the same thinking process of our ancestors. They also assumed themselves immortal. 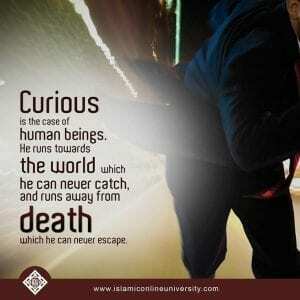 Do you know why all are afraid from death? 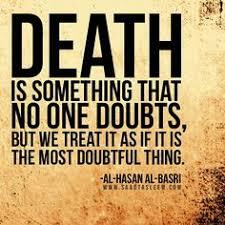 It’s not death actually, it’s accountability which frightens to each and everyone. 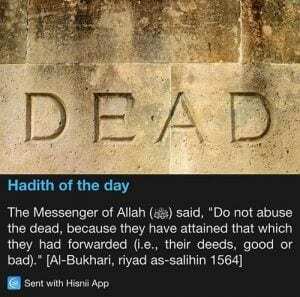 It is not escaping from death, but it is the escape from doom’s day which is IMPOSSIBLE. 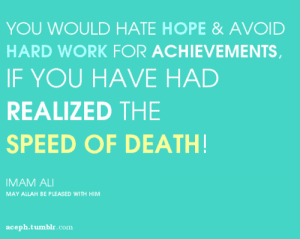 Imam ALI says, Hope generates feelings, feelings generate life and life generates wish list, ignoring the speed of death. 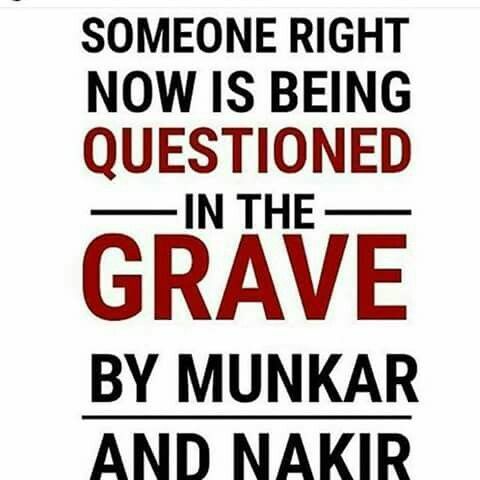 There is a group who are dead while alive. 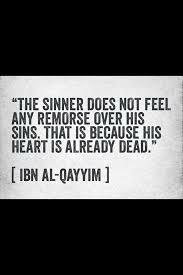 These are the “Sinners”. Their hearts are dead, and when hearts become dead, the person considers dead. They can only speak, look, and hear but can not distinguish reality from fake. 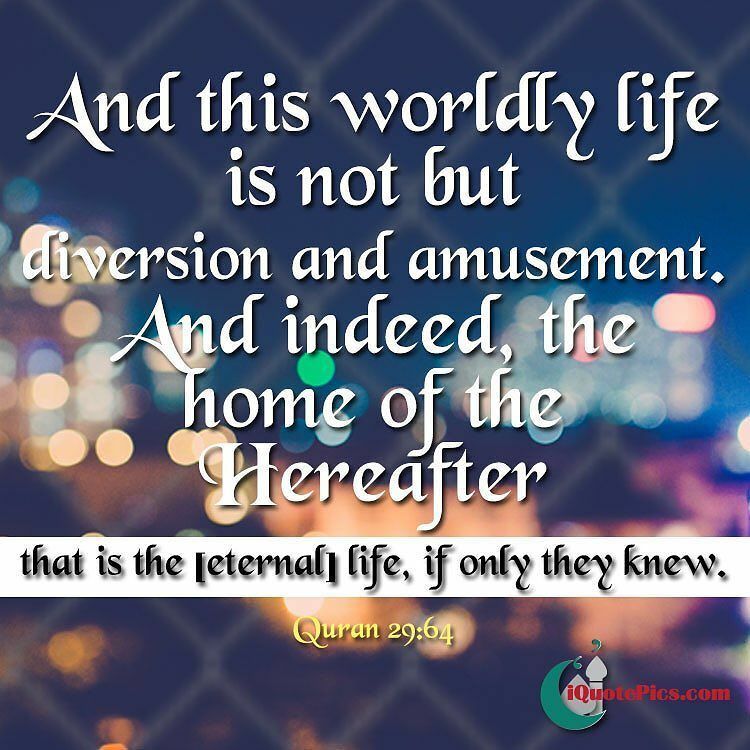 Everything in this world is pre-planned. 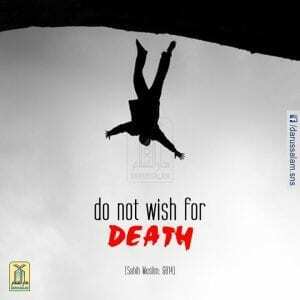 If you face a severe accident and still you remain safe then it means your death is not planed in this way. 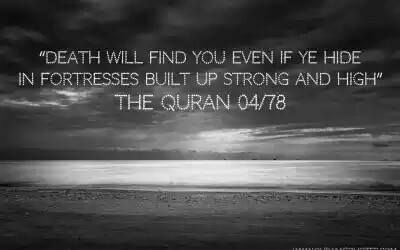 And your death itself is acting as a shelter. 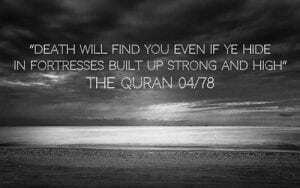 No one can breathe longer what has written in his destiny. 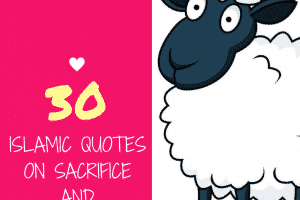 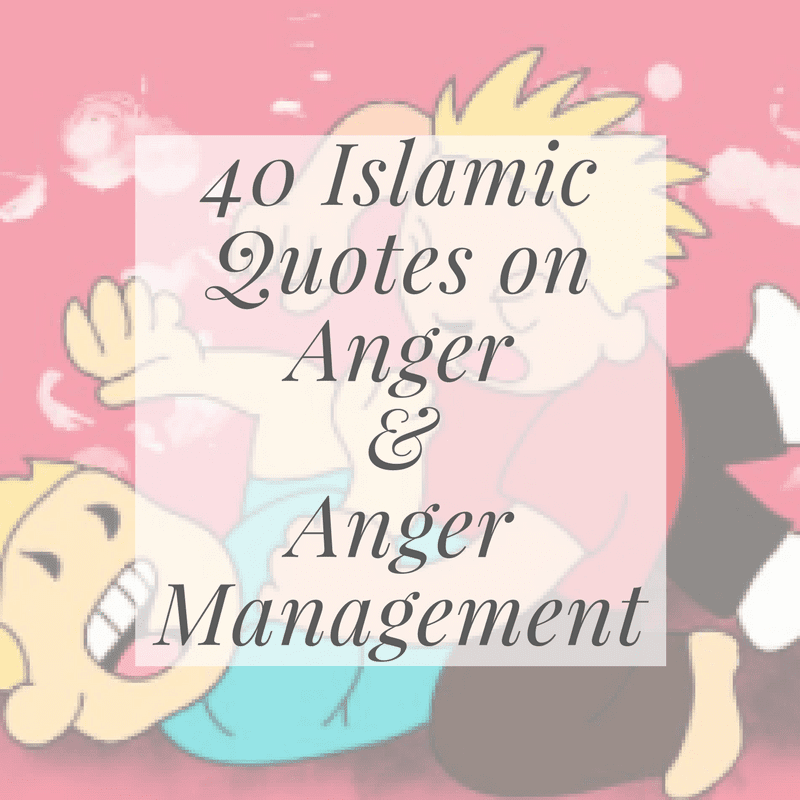 Here are 50 Best Allah’s Quotes and Sayings with Images. 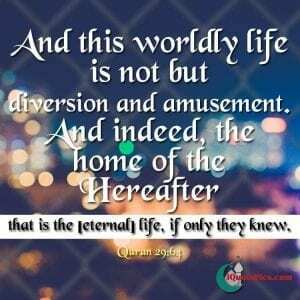 ALLAH is not banning enjoyments in our lives but we must keep in mind the limits, the and real destination. 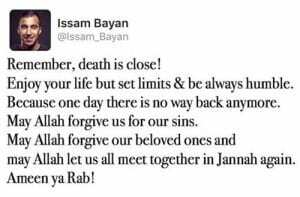 May ALLAH forgive each and every Muslim, and let us all meet together in JANNAT-UL-FIRDOUS. 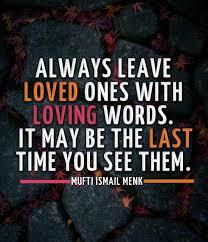 Don’t speak words that can hurt your loved ones. 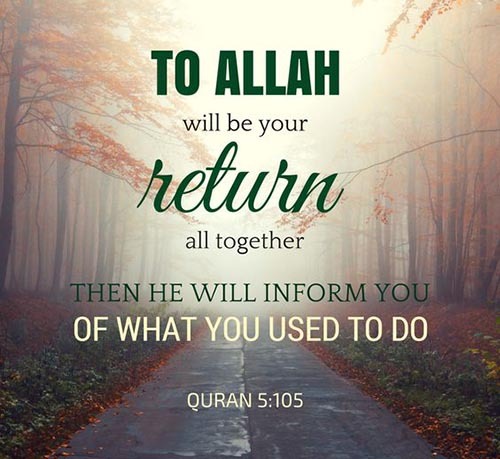 You do not know whenever you will meet them again. 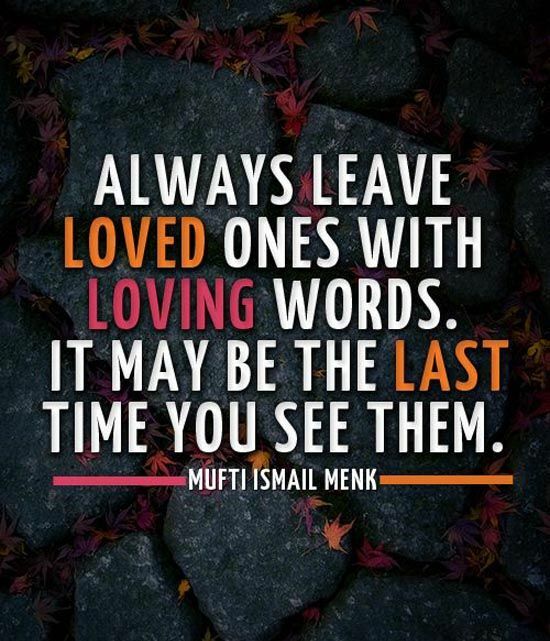 Always give them good memories, it can be your last journey with them. 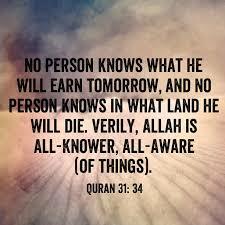 Who knows..! 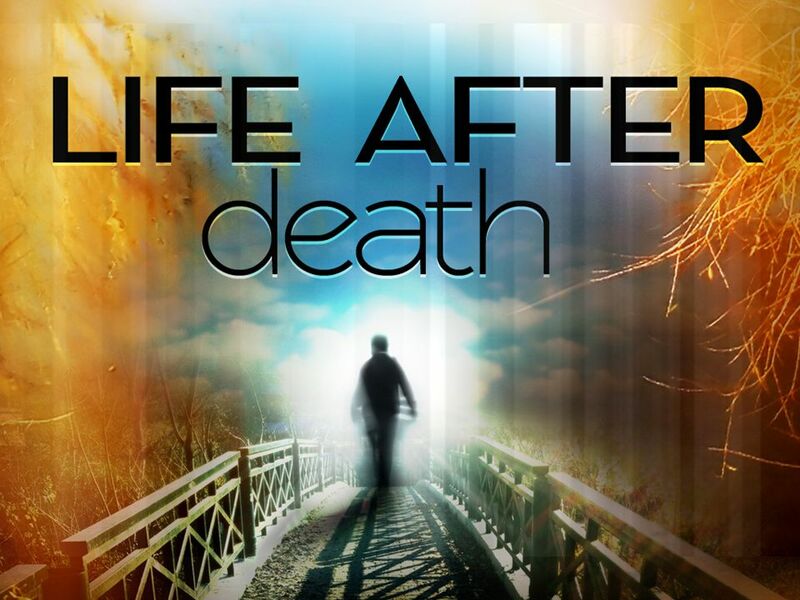 There seems no connection between these two. 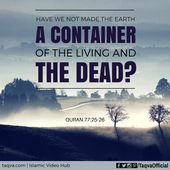 and yes there is not. 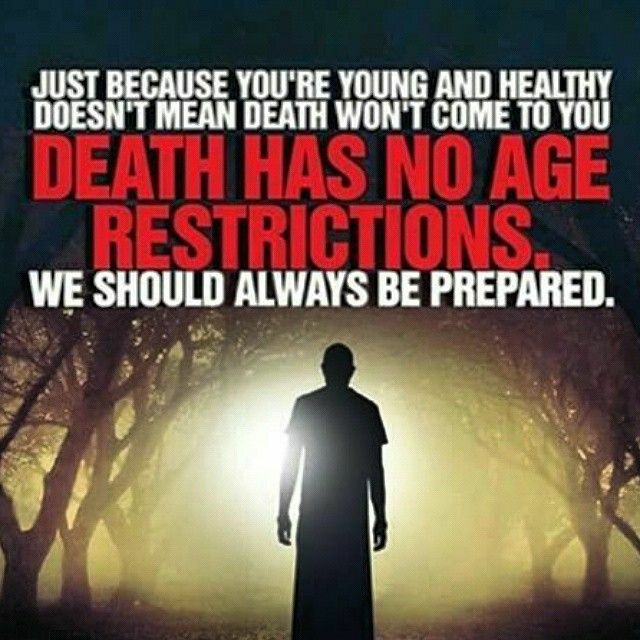 Because death is natural. 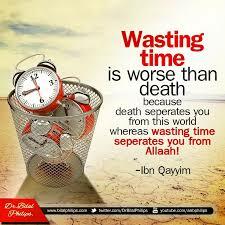 it is inferior to wasting time. 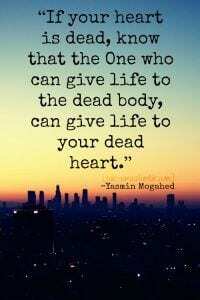 Death separates us from the world while a person who wastes his time is actually neglecting ALLAH’s blessings, and gets separated from ALLAH. 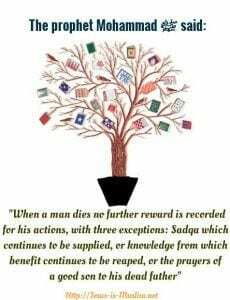 The way a person lives, dies on the same pattern (Hadiath) If you are living doing good deeds, you will die on same design and the vice versa. 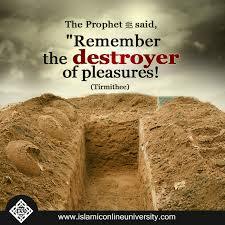 It is the death which forgets pleasures, enjoyments. 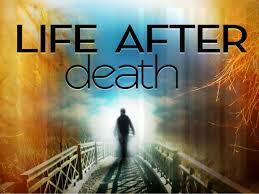 Believe in it, there is a life after death, there is accountability after death. 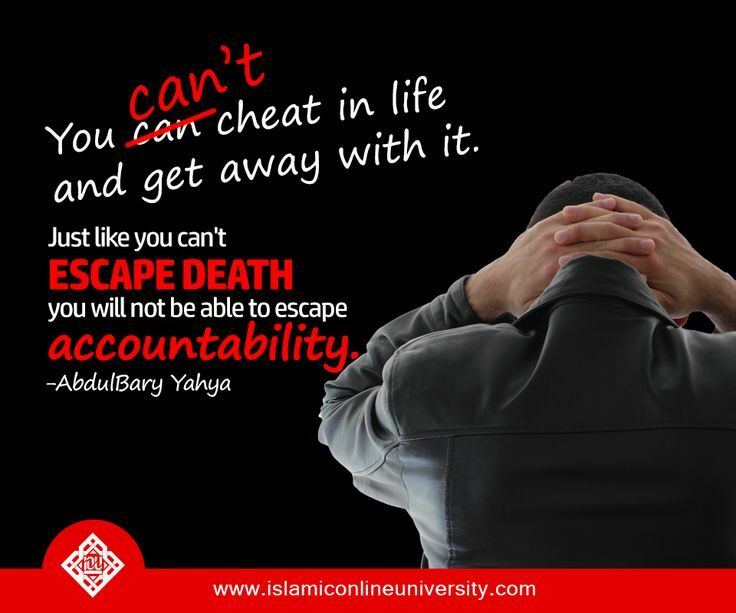 And this sense of accountability frightens everybody. Death is certain but it’s time is uncertain. 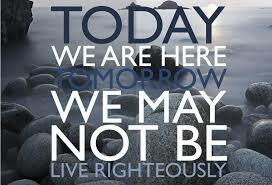 It can come at any time, any where, any age, any stage of life. So Be Muslim at all times. 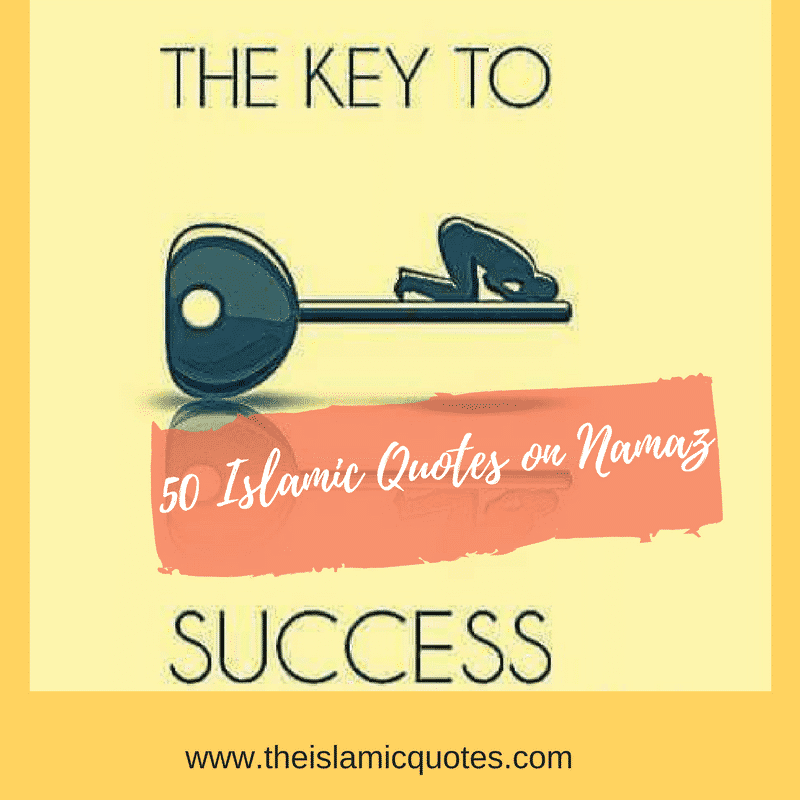 Also have a look at these 50 Best Islamic Quotes About Patience. 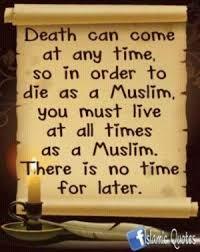 Death is same for all. 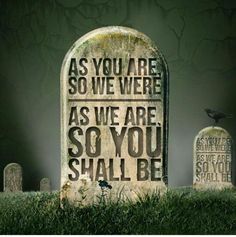 No matter what you are, who you are. 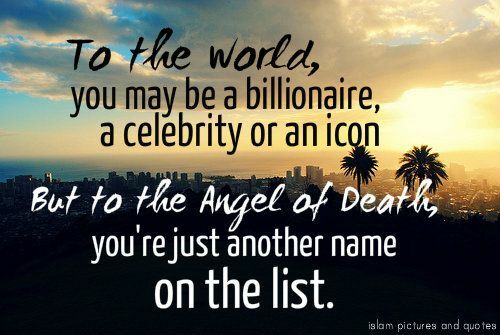 You are just a name for Death’s angel. 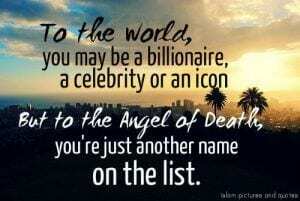 A marked Name. 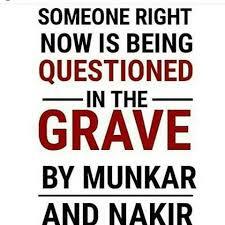 At this time, you are sitting and reading this article on your electronic gadget, and some one is being questioned in the grave. 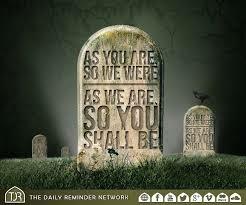 And it would be you at some time, and this cycle will be continued. 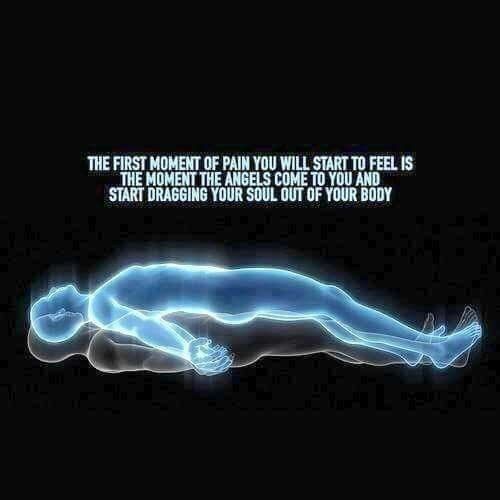 It is the 1st pain sensation which you feel after seeing the angel and when he starts dragging your soul from your body. 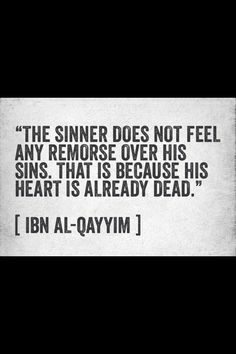 Are you regretting on something? 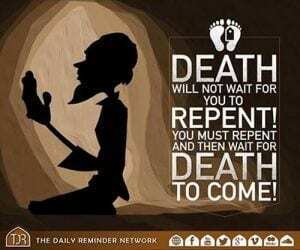 You must repent and then wait for Death. 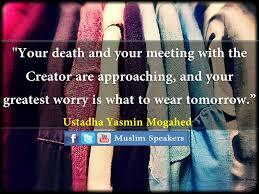 Currently whatever you are doing, you may not be doing same next day. 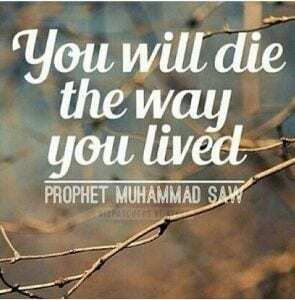 So follow the teachings of Islam, and live righteously. 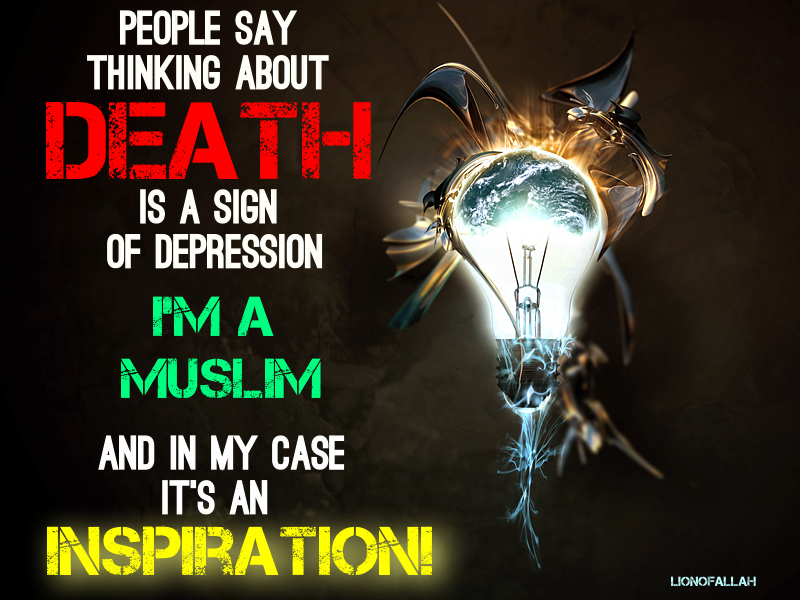 Death is a Depression for Non-Muslims yet it is an Inspiration for Muslims. 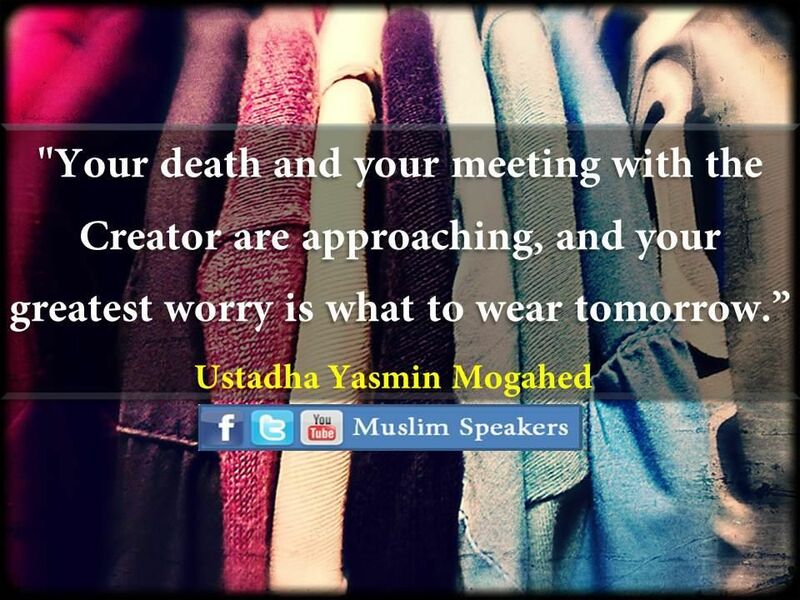 They are waiting for this meeting eagerly. 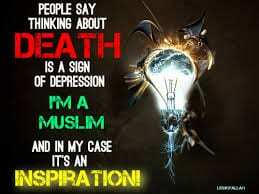 One can die on bed, on road, with some disease, in some blast. 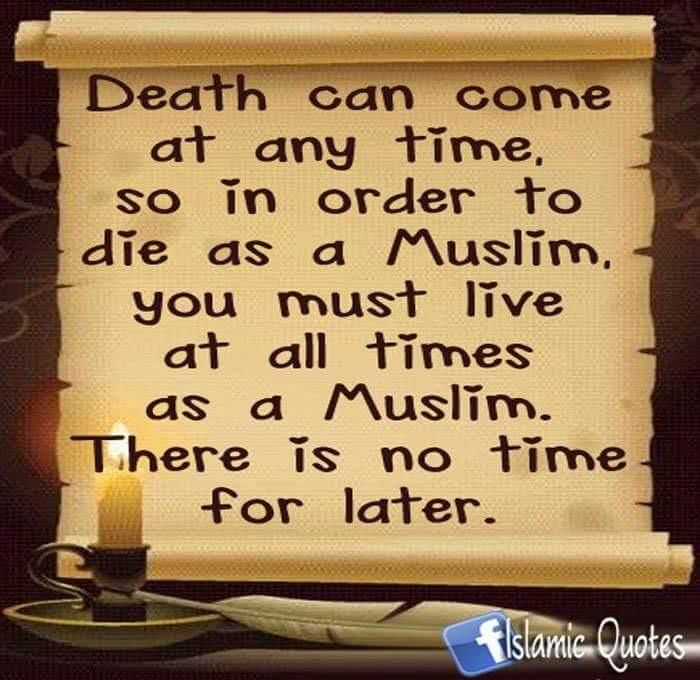 There is no fix time of death. There is no age limit for death. 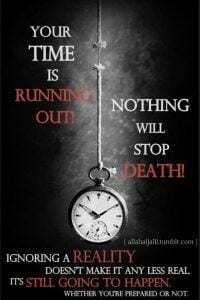 One can die in childhood, adulthood, young, old and one can stay alive till 170 years. 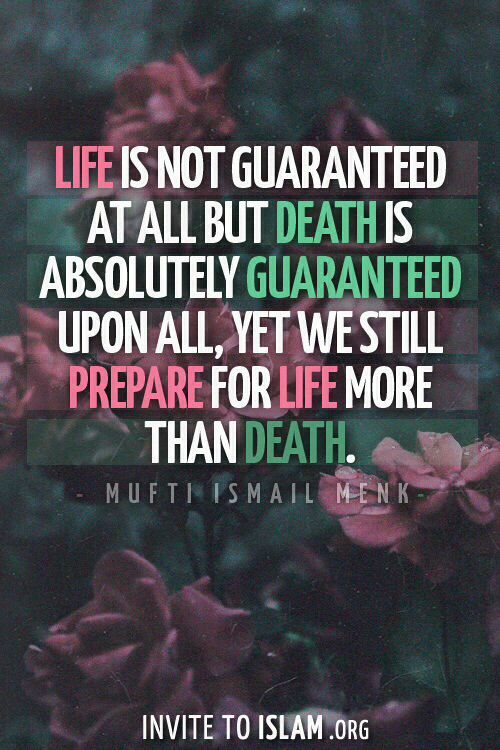 So always be prepared for it. 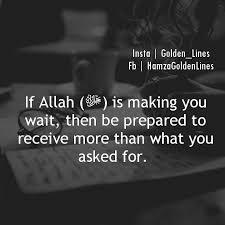 If ALLAH is making you wait, then be ready to receive more what you asked for. 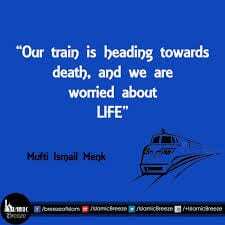 Life is a time which we are spending in train, and once our destination point reach, we have to leave the train. 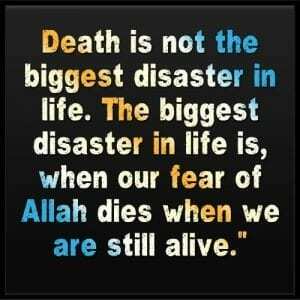 Those who remember death often, are intelligent in real. 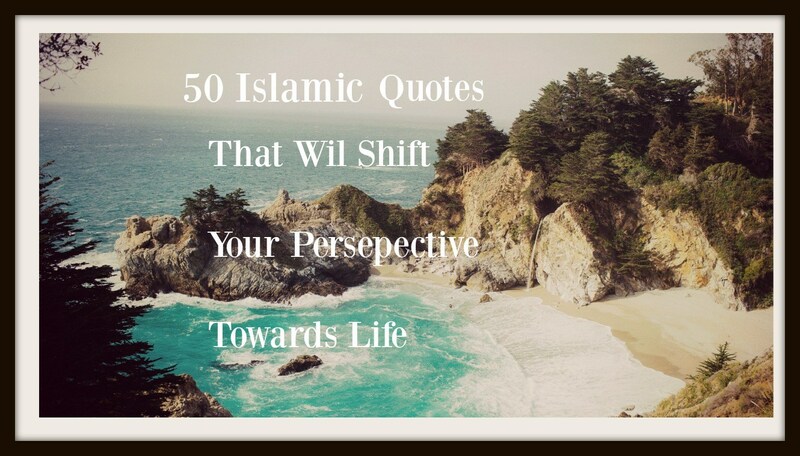 Here are 50 Best Islamic Quotes on Life with Images.